Who invented basketball? That’s a question I receive a lot as a coach. As coaches and lovers of the game, it’s important (and fun!) 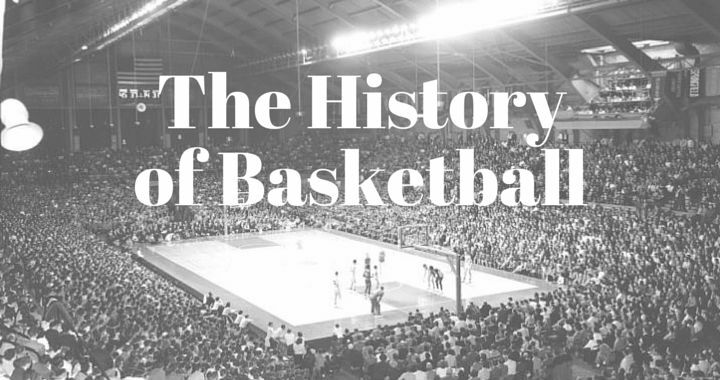 to know a little basketball history and the origins of the game we all hold so close to our hearts. The game of basketball originated in December 1891 by a Canadian born man by the name of James Naismith. Naismith was a teacher at the YMCA training school in Springfield, Massachusetts. He was required to train young men to become instructors at newly opened YMCA centres. With the cold weather keeping the class indoors, in December 1891, Naismith was asked by the schools Superintendent of Physical Education, Dr. Luther. H. Gulick, to create an indoor game that would keep the young men active during the cold winter months. With the help of his wife and memories of playing ‘Duck on a Rock’ during his childhood, he decided to create a game that would focus on skill rather than strength. For those who are curious… ‘Duck on a Rock’ was a game in which players threw rocks at a certain target placed on top of a large boulder or tree stump. The game he ended up inventing is the game we all know and love today – basketball. Basketball required very little equipment to play… two peach baskets hanging 10 feet above the ground, and a soccer ball. The object of the game is to work as a team to throw or bat the soccer ball into the opposing teams peach basket, while defending a score in your peach basket from the opposition team. Either way, the initial players weren’t great shooters so they didn’t have to worry about this too much! Heck, in the first game ever played there was only one score during the entire game! But I’ll explain more about that game later in this article. Originally the game involved nine players on each team… What! Why nine players? Because Naismith’s class had 18 people in it. He also developed rules for the game known as ‘The 13 Rules of Basketball’. A player cannot run with the ball. The player must throw it from the spot on which he catches it, allowance to be made for a man running at good speed. No shouldering, holding, pushing, striking or tripping in any way of an opponent. The first infringement of this rule by any person shall count as a foul; the second shall disqualify him until the next goal is made or, if there was evident intent to injure the person, for the whole of the game. No substitution shall be allowed. A foul is striking at the ball with the fist, violations of Rules 3 and 4 and such as described in Rule 5. If either side makes three consecutive fouls it shall count as a goal for the opponents (consecutive means without the opponents in the meantime making a foul). A goal shall be made when the ball is thrown or batted from the grounds into the basket and stays there, providing those defending the goal do no touch or disturb the goal. If the ball rests on the edges, and the opponent moves the basket, it shall count as a goal. The first game of basketball ever played on the 21st of December, 1891, at the YMCA training school in Springfield, Massachusetts. The gym was incredibly small. Only 50 feet x 35 feet, compared to current day courts which are 94 feet x 53 feet. After posting the ’13 Rules of Basketball’ on the bulletin board of the gym, he then nailed a peach basket to the lower rail of the balcony on both ends of the gym. When the players arrived, Naismith split his eighteen students into two teams of nine players and done his best to teach them the 13 rules of basketball. Little did James Naismith or of any of his players realize how big this new game would become in a very short amount of time. John J. Thompson, Eugene S. Libby, T. Duncan Patton, Frank Mahan, Finlay G. MacDonald, William H. Davis, Lyman Archibald, Edwin P. Ruggles, William R. Chase. George Weller, Wilbert Carey, Ernest Hildner, Raymond Kaighn, Genzabaro Ishikawa, Benjamin S. French, Franklin Barnes, George Day and Henry Gelan. The final score of the game ended 1 – 0. Team 1 were the victors. William R. Chase scored the only goal of the game from 25 feet away from the basket… becoming the first person to score a goal during a game in basketball history!